The number of alcohol-related emergency transports at Boston University has dropped to 142 in the the 2017-2018 academic year from 186 the year before. While the numbers regularly rise and fall over the years, Director of Wellness and Prevention Services Katharine Mooney said, BU continues to take action to help further reduce these alcohol-related accidents in the coming years. These programs include confidential counselling for students and prevention programming that provides resources and information about safe drinking. Student Health Services also offers the Collegiate Recovery Program, a support group for students recovering from substance abuse and addiction. 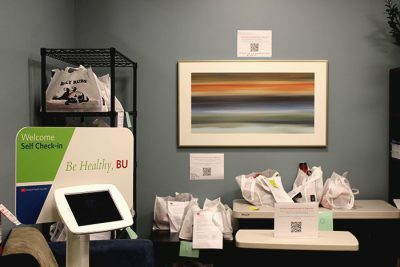 The Wellness and Prevention office also spearheads an alcohol task force, which is a group of staff, administrators and students who analyze alcohol-related statistics and incidents at BU and discuss events and programs to support safer drinking. “Our goal as an alcohol task force is to continue to look into [alcohol statistics] and see how we can work together to promote the safety and health of our students,” Mooney said. Constantinos Gerontis, a sophomore in the College of Engineering, said he wonders if alcohol-related medical transports have decreased because students are reluctant to report emergencies. “My guess would be that people are less likely to call because maybe they’re afraid of getting in trouble,” Gerontis said. Lennon Kelly, a junior in the College of Arts and Sciences, said students may report fewer emergencies because they consider themselves capable of taking care of their friends. Alcohol is one of the leading causes of health and social problems among college students, contributing to poor academic performance, sexual assault and fatal injuries, said Timothy Naimi, an associate professor specializing in youth alcohol consumption at the Boston University School of Medicine. Most alcohol-related incidents at universities have to do with binge-drinking, Naimi said. Despite perceptions that binge-drinking is an individual issue, university-wide policies are critical to reducing alcohol-related problems, Naimi said. Incoming students are required to take AlcoholEdu, an online course educating students on responsible drinking habits. CAS sophomore Danielle Prensky said she believes BU’s alcohol education programs do a good job of teaching students about safe drinking. CAS junior Jack Drummond also said he believes BU alcohol education programs help students learn to balance their drinking habits better.